Vallensons’ Brewing Company was created from the inspiration and passion of Valle Kauniste. 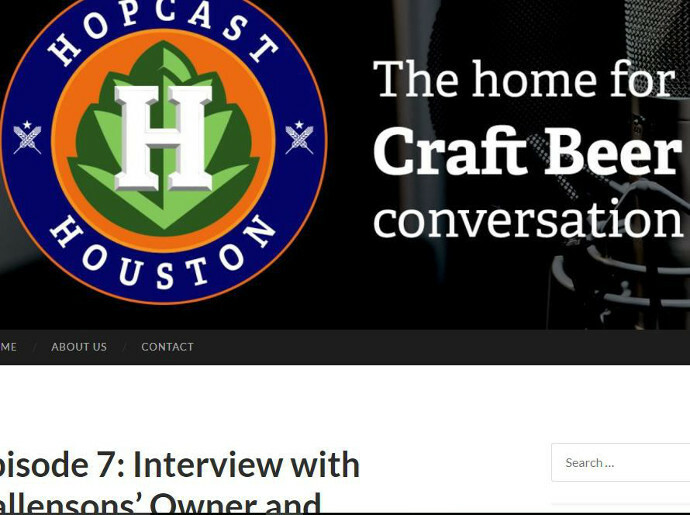 His love for craft beer started when he was in the United States Air Force where he was fortunate to travel the world and taste beers from all over. After leaving the military in the early 1990s, he started experimenting with a homebrew kit working with different ingredients to create a variety of his favorite beers. Throughout the years, he perfected his craft resulting in many great beers including one of Vallensons' flagships, the Settlers' Oatmeal Stout. 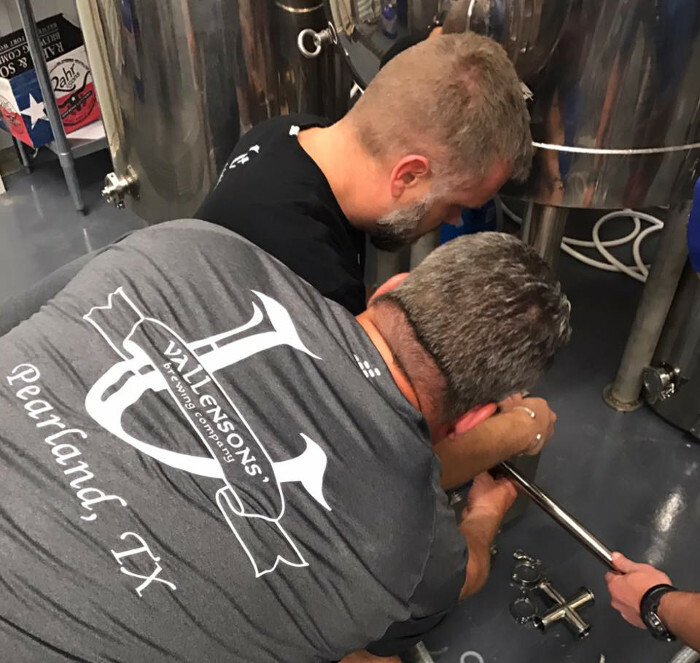 Eventually, Valle’s passion grew to the point where he wanted to share his passion with the community, which led Valle and his wife, Lori, to opening Vallensons' Brewing Company in Pearland, Texas. 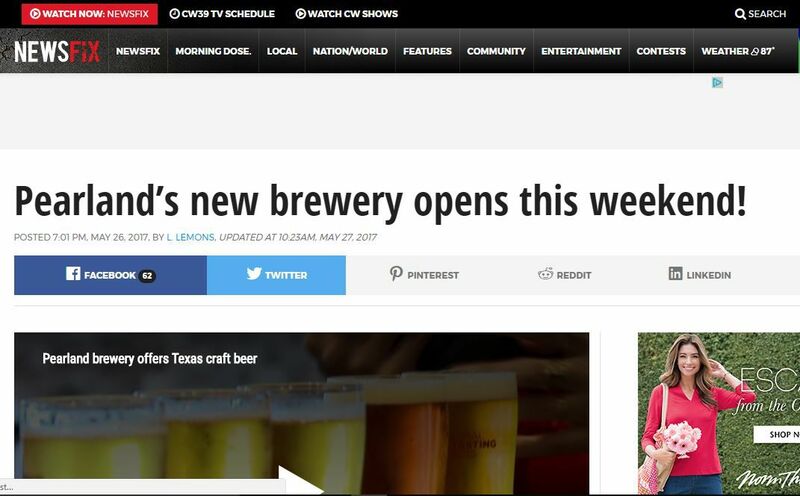 On May 27th, 2017, their vision to open their own brewery became a reality. 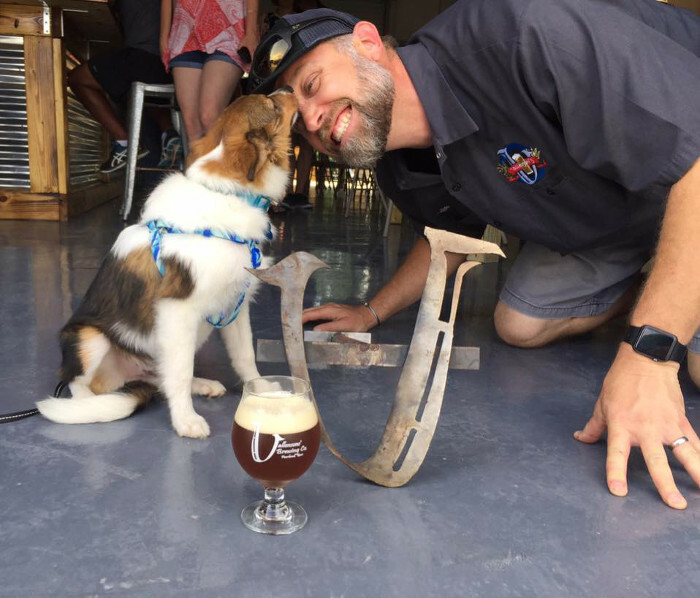 On that day, Vallensons’ Brewing Company became a family oriented and pet-friendly establishment in the heart of the Pearland, Texas community. Vallensons’ provides an assortment of beers, ciders, and wines. 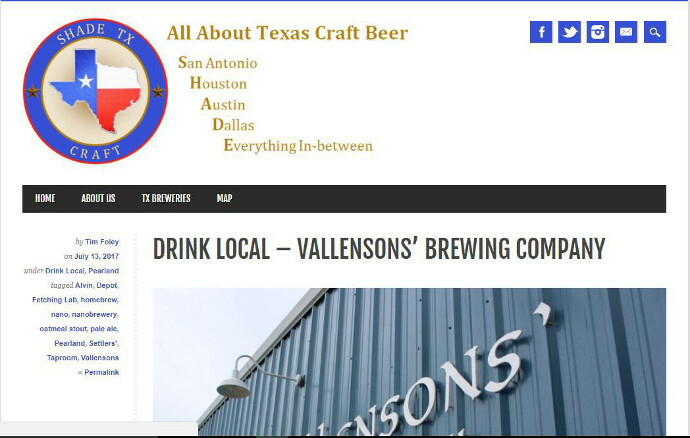 Vallensons' Brewing Company is a place to come and enjoy great beer, good food, provided by food trucks, and the occasional live music and entertainment. 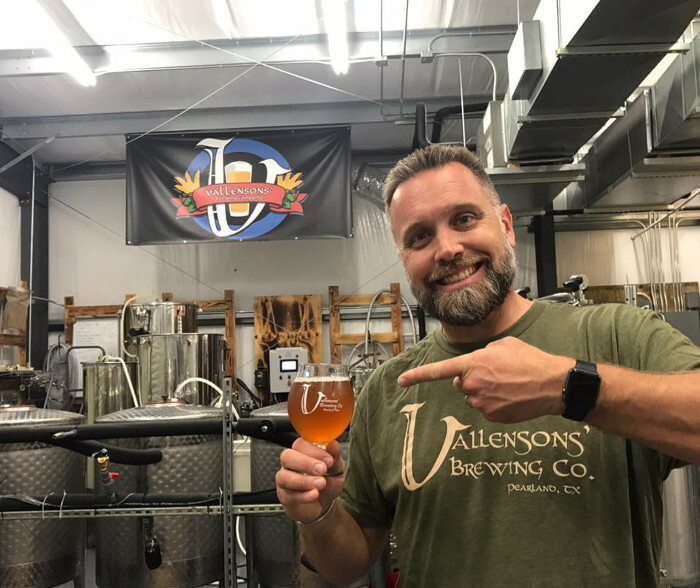 Vallensons’ Brewing Company was envisioned by Valle Kauniste and embraced by and, through much feedback over the years, enhanced by his wife Lori and other family members as well as many dear friends. The Vallensons’ (pronounced Val-N-sons) name was created based on the Brewmaster himself and his two sons with hopes and dreams of his sons, Valle and Konner, later working with dad at the brewery. It all started about 17 years ago when Valle decided to experiment with crafting his own beer out of his garage. 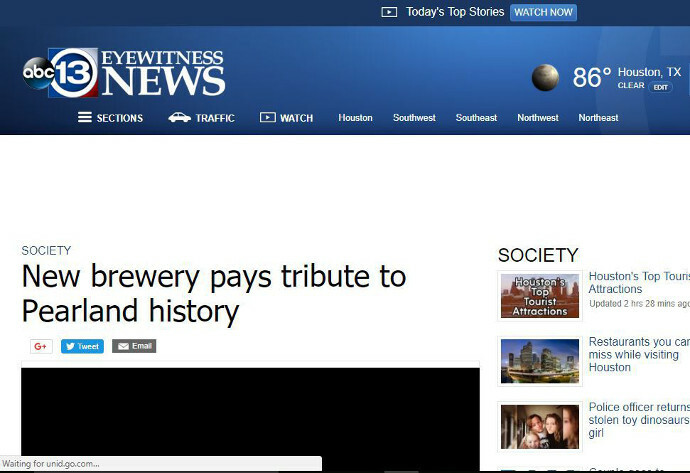 He was originally driven by his desire to have better craft beer options that didn’t exist at the time. His hobby continued to grow and improve over the years-earning him a 1st place medal in a national competition for his Oatmeal Stout. Crafting beer has truly become his passion in life. 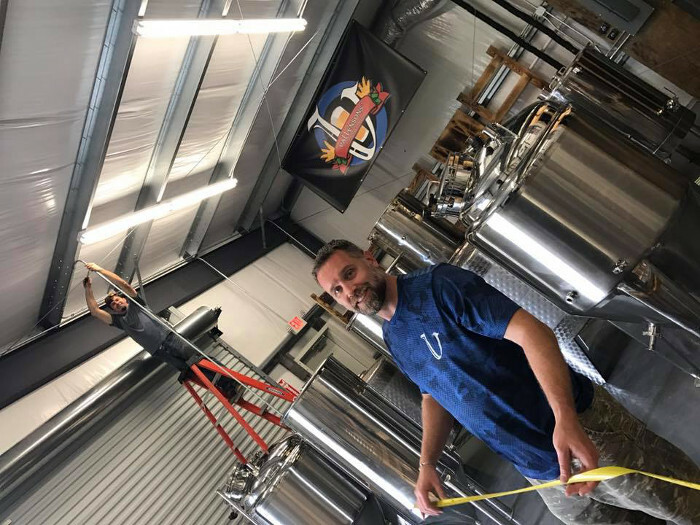 He has always enjoyed great satisfaction from sharing his craft beers with friends and family and for the past several years has dreamed of sharing his craft beers with everyone within his reach! After years and years of dreaming and discussing his vision, he finally decided to go for it! In late 2014, he and his wife began searching for land intended for the future home of Vallensons’ Brewing Company. Finally in June 2015, they purchased a little over an acre of land in their hometown of Pearland, Texas. During this same month, Vallensons’ had a public hearing with the City of Pearland to approve a conditional use permit for the Vallensons’ site. They were truly blessed to have several of their closest friends and family show their support by attending the public hearing. Jumping ahead and past several months of required steps along the way, Vallensons’ construction finally broke ground on June 21, 2016! !